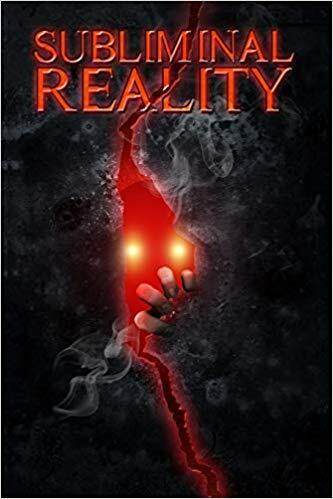 Yet another unsettling sojourn into the dark recesses of my mind is about to be unleashed upon the world, as Lycan Valley Publications has announced the imminent publication of the SUBLIMINAL REALITY horror anthology! I’m particularly delighted by the premise of this collection, which brings together a lot of tropes I enjoy both reading and writing: unreliable narrators, ambiguous ground rules of internal logic, testing the boundaries of objective reality and sanity. Good times! You’d be forgiven for thinking that by packaging the stories in that way, it diminishes their impact, per the old saw about how twist endings lose their impact if the audience goes in expecting the twist and trying to spot it at every turn. But I respectfully disagree, as every author in the mix has his or her own way of subverting the premise. 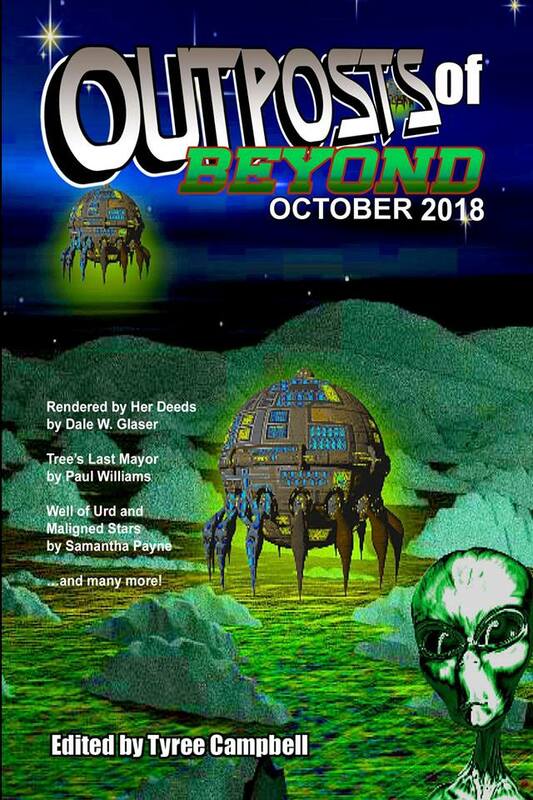 My contribution, “Dead on Her Feet”, is a story I wrote years ago, specifically for an open call for creepy science fiction tales. It taps into the paranoia that is the inevitable result of any time spent considering that most of us aren’t really equipped to even understand the implications of cutting-edge research and how it might impact us individually. Even the promised results can be hard to grapple with, let alone the repercussions of accidents or unintended consequences. Luckily we’re all too busy to spend much time trying to think about it all anyway, too tired all the time to get very far in our musings. But on a rare occasion where we can’t help but realize certain things, where dark and looming truths overwhelm our normal defense mechanisms … I take a look at one possible scenario, at least. You can pre-order Subliminal Reality now at Amazon and Barnes & Noble! I am pleased to announce to the publication of yet another entry in my loosely connected corpus of stories exploring the responsibilities of heroism (see here for the big long stem-winder of a mission statement), a little historical fiction I’ve called “The Grotesque”. 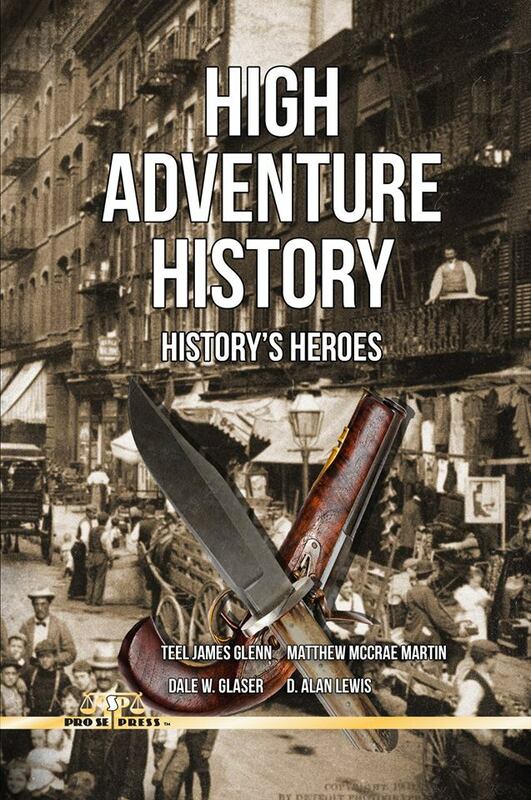 The highly anticipated follow up to Pro Se Productions’ HIGH ADVENTURE HISTORY focuses on the over the top pulpy adventures of characters chosen or even forced to take up the fight for right throughout time. Regardless of the era, heroes are always needed and Teel James Glenn, Matthew McRae Martin, Dale W. Glaser, and D. Alan Lewis deliver tales of derring do and danger! My contribution is a completely imagined tale starring a real British war hero named Sir Howard Elphinstone, speculating on the kinds of unplanned adventures that such a decorated veteran might stumble into long after his retirement from military service. 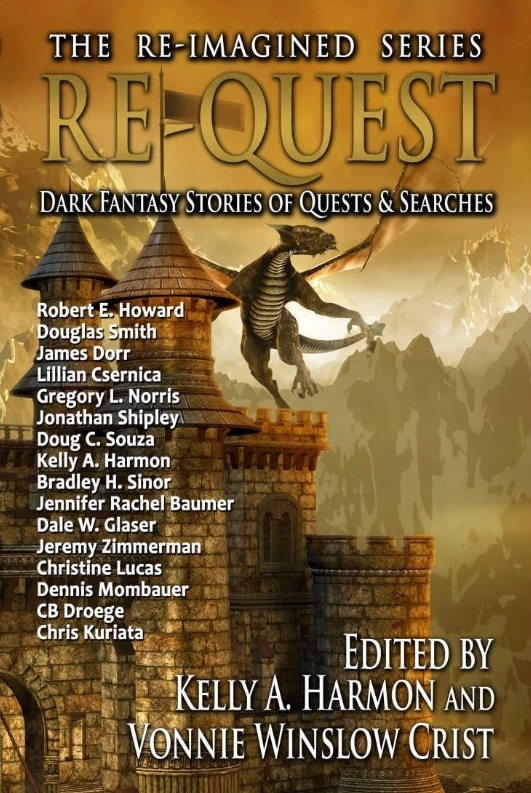 Just in time to close out 2018 with the third of the three reprints that I promised back in January, Pole To Pole Publishing presents RE-QUEST: Dark Fantasy Stories of Quests & Searches! A sweeping collection of speculative adventures, including my tale of Merlin’s relentless march backwards through time, and many others! All of the selected stories are reprints (as this is another installment in the publisher’s Re-Imagined series) so you know the quality of the writing has been double-vouched! As you can see, I’ve got a story in this issue (top billing, no less, woo hoo! ), which was accepted as a reprint. I mentioned this way back in January when I had a slew of reprints accepted all at once. This particular tale, Rendered By Her Deeds, is a dark fairy tale which turns the figure of the wicked queen into the protagonist – though decidedly not the hero. My Queen Jivonne is not a direct analogue to Maleficent or Snow White’s stepmother or any other Disney or Grimm character, but she certainly could go trope-for-trope with any of them. And the story of her ambitions and their unexpected realizations is rife with spiders, snakes, wolves, and of course the spectre of death, so it’s an apt read for All Hallow’s Eve! Grab your copy here! This week is Horror Week over at GoodReads! I could use this opportunity to hype any of the fine and frightening horror anthologies to which I have contributed stories over the years, but instead I just want to pay my respects to one of the giants of the field, inspired by the fact that I saw someone comment that Horror Week was inspiring them to finally tackle reading the novel: House of Leaves by Mark Z. Danielewski. I picked up House of Leaves for the first time about ten years ago and found the entire experience deeply affecting. 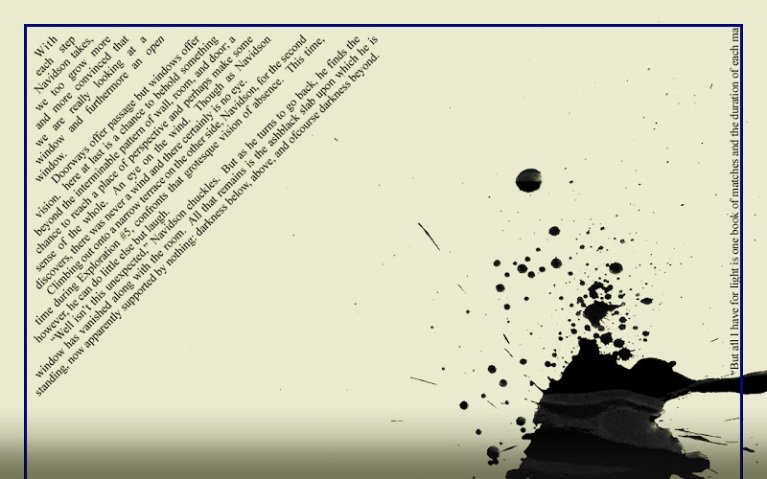 That’s the thing about House of Leaves, you don’t so much read it as experience it. It is immersive and meta and, for me at least, highly unsettling. It’s both a compulsive page-turner and a little bit repellent. Now, granted, at the particular time in my life that I fell into House of Leaves my oldest child was my only child, not even two months old. So on the one hand I was not getting much sleep and was susceptible to suggestion and weird flights of fancy, and at the same time I was highly attuned to ideas of home and family and the fragility of happiness and the meaning of life and all that. But given the enduring reputation of the book, I don’t think my individual circumstances at the time account for all of it. I’m being deliberately vague about the content of the book itself because if you’ve never read it I highly recommend doing so (assuming you have a reasonable threshold for being existentially creeped out) and further recommend going in knowing as little as possible. If you want a little more concrete info you may click on the first mention of the title above, which links back to my GoodReads review of it from 2008. One thing I mentioned in that review which I think bears repeating was the fact that over the course of making my way through House of Leaves it got so harrowing I had to stop using a bookmark. Because you see, at the time, I was using a snapshot of my wife as my steady bookmark, and the story the book was telling started to feel like something malignant I was wrestling with, and I had an unshakeable feeling that using an image of my wife to keep my place in it would somehow expose her to a dark, corrupting influence. I knew on most rational levels of my brain that was completely crazy, but my animal instincts to be better safe than sorry won out. And a decade letter, I can still remember that sensation of needing to protect my loved ones from the yawning abyss inside of House of Leaves. Cheers to all the horror out there that can rattle people’s skulls half so well! The latest, greatest and sort-of-tied-to-a-date-est collection of new pulp adventures is here! In the proud tradition of its Christmas and Halloween Specials, PulpWork Press proudly presents the 2018 Summer Special! Granted, summer isn’t so much a date like December 25 or October 31 as it is a season, but my story “Strike Down the Sun” is focused on the summer solstice itself, which should come as no surprise since it is yet another rip-roaring case file from druid-reared private eye Kellan Oakes. Break out the SPF 50, grab an ice cold beverage, and enjoy! The Summer Special is available now at Amazon – and if you click over there between now and August 19, you can download the Kindle version FOR FREE! Updated to add: The giveaway period has ended, but the collection is available for a mere $3.95 on Kindle, and if you happen to be a Kindle Unlimited subscriber, it’s still free for you! Have you been curious about checking out some of my stories to see what exactly my writing is all about? Have you been hesitant to jump in by ponying up for an entire anthology filled with stories by people you don’t know and (likely) have never heard of, plus one story by me? You, potential yet circumspect reader, are in luck today, because I am going to point you toward all of the stuff I’ve written which you can read right now, online, with absolutely no money down! 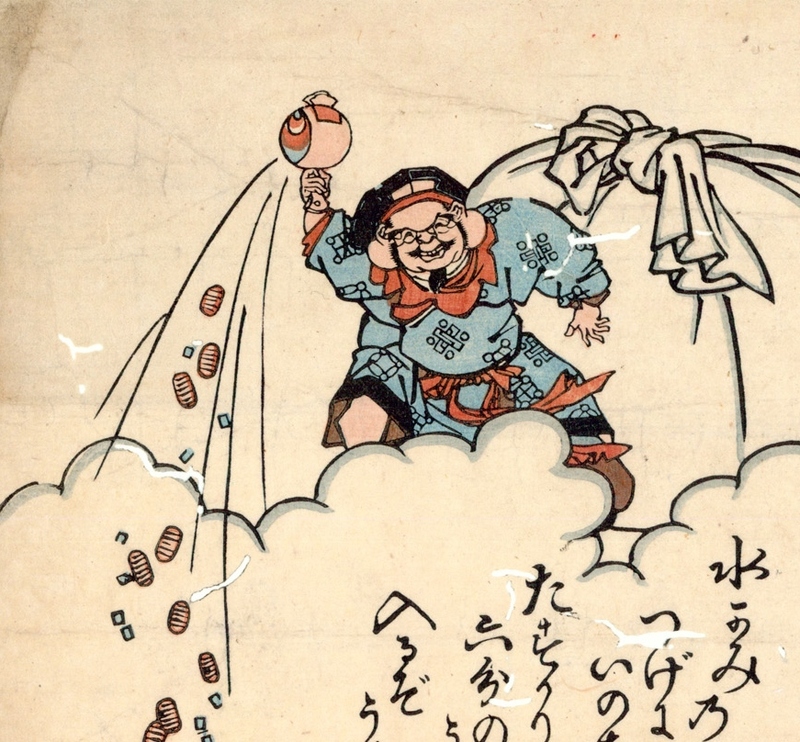 I’m making it rain free stories! Red Screamy – This link will take you directly to a domestic drama about raising a creative child, which takes a creepy turn at the end. The Lengths That He Would Go To – This link will take you to a tale of a college love triangle and horror from the cosmic beyond. The Dying Desert Moon – This link will take you to a pulpy adventure set in an alternate history of retrofuturistic automobiles and gas-powered weapons. Requital – This link requires some scrolling, as it will get you the entirety of the April issue of an e-zine featuring a morbid poem by me on page 92, some scrolling required. Preservation – This link also requires some scrolling, past the lead short story until you see the Enter the Drabble header right above my 100 words putting a twist on the start of the zombie apocalypse. Click, read and enjoy! And watch the blog for an announcement by summer’s end about more FREE STUFF (if you have a Kindle).